Vedic Maths for Kids – Are you looking for the best Vedic Maths training classes for kids? Do you want your child to be a scholar at Maths? If the answer is yes, then this is the right place for you. We at Midbrain Academy offers the best services to the children at an affordable rate. For more information of kids Vedic Maths Course, you can contact us on – 92568-93044 anytime and avail our services. Vedic math is now becoming a huge trend and the reasons are pretty obvious. This ensures the easy understanding of the most hated subject Maths. Surely new age techniques are easy but nothing can compare the long-term and effective results that Vedic math provides. 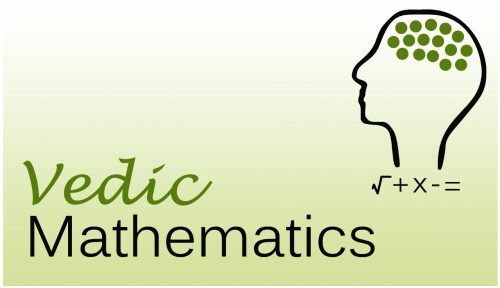 Vedic math is an old technique of learning math in an easy way. This technique includes a set of procedures and methods that help the child to have a better understanding of the math subject. Not only this, you can also see the positive effects on the overall personality of the child. There is a number of institutes and academies that you can choose from to get the best results. What are the benefits of learning Vedic Maths for Kids? There is no denying the fact that the competition has gone beyond the limits. Every student is studying out of the box with different techniques to get better results in the academic field. But learning Vedic math could ease your work to the minimum. If you are not aware of the benefits that Vedic math has in store for you then below mentioned is the list of them. Scroll down to get an idea of the advantages that Vedic math is capable of giving it to you. 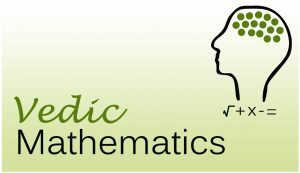 The Vedic math techniques help in reducing the burden of remembering the long digits and other related stuff to maths. Vedic Math brilliantly acts as a tool for doing calculations that are tough and time -consuming. This further help in improving both concentration and confidence. Vedic math has the qualities such as simple, direct, totally unconventional, original and straightforward. This technique forces on the mental calculations, unlike the other new age methods. The tender age is the most appropriate age for learning new things. This is the best age for your children to adopt better habit and learning methods. Vedic maths learnt at a small age deliver greater benefits when compared to the older age. Kids tend to learn faster and effectively. Therefore, this becomes the sole reason on why Vedic math is important for the kids. Also, a number of benefits that Vedic Math has in store for you make it easy for you to choose this over new age methods and techniques. Why should you choose Rajmin Academy for the best Vedic Math for kids? Rajmin Academy is one of the leading academies that offers the best Vedic Math services for kids. Vedic Math has become an important part of learning the most hated subject math in an easy way. People and even children are preferring it over the new age techniques for the brilliant results it has to offer. Below mentioned are some of the other benefits of choosing us over any other service providers. The major benefit of choosing us is that we offer these courses and training classes at an affordable rate, unlike other services. Also, we have professional teachers that help the children in learning faster and better. We also offer franchise business in the respective course for the willing candidates so that more kids can brighten up their future. We offer flexible timings so that people can choose the most suitable for learning Vedic Math techniques. So, if you were looking for the best Vedic math for kids classes then I hope this might have been helpful for you. We at Rajmin Academy offer the impeccable service for the kids for the Vedic math classes. Therefore, go ahead and now join us for the best services and results.